Juneberry Lane: Tutorial Tuesday: Green Gift Series . 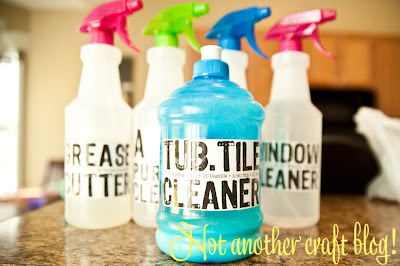 . . All-Purpose Cleaner & a Printable Label! Tutorial Tuesday: Green Gift Series . 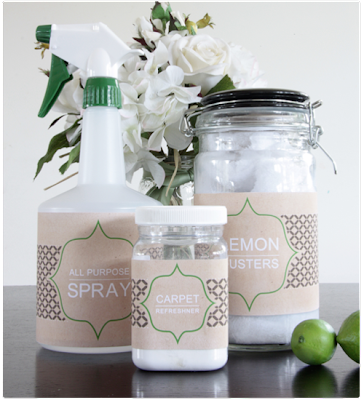 . . All-Purpose Cleaner & a Printable Label! The holidays are fast approaching and the price of presents can pile up quickly. That's why we are taking care of you with this sweet little gift idea for a friend or teacher that is homemade with love, wallet-friendly, and 100% natural. Over the next couple of weeks, we are going to focus our Tutorial Tuesday on 'green gifts' . 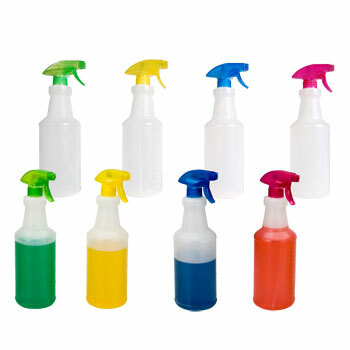 . . thoughtful & harsh-chemical free, these gifts will last your loved ones straight through until Spring cleaning time and have them begging for more once they run out. 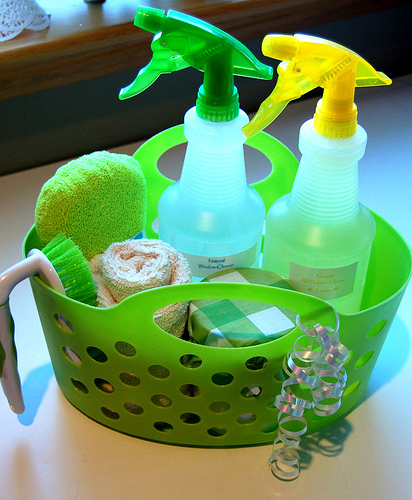 This week we are going to kick things off with a recipe for 'Gorgeously Green' All-Purpose Cleaner. 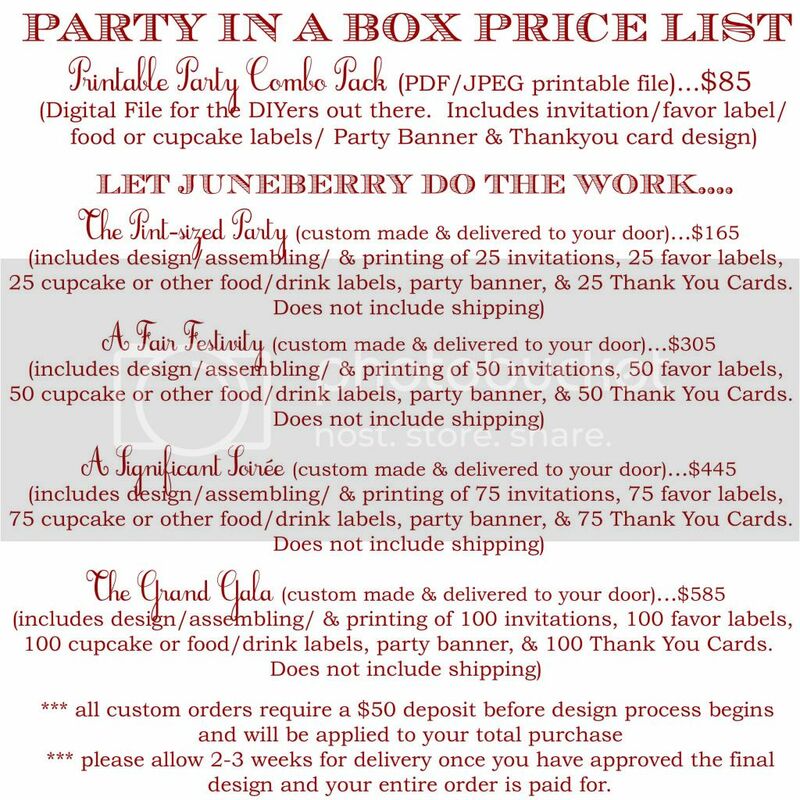 And if you stick around to the end of the post, you will find the link to our Juneberry Lane custom Printable Label! Take a look . 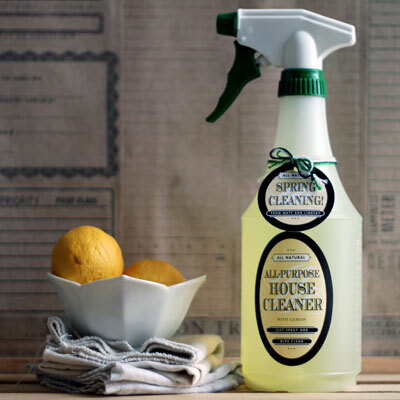 . .
Sophie Uliano, author of Gorgeously Green: 8 Simple Steps to an Earth-Friendly Life , doesn't use conventional all-purpose cleaning sprays—she makes her own cleaner with nontoxic ingredients. 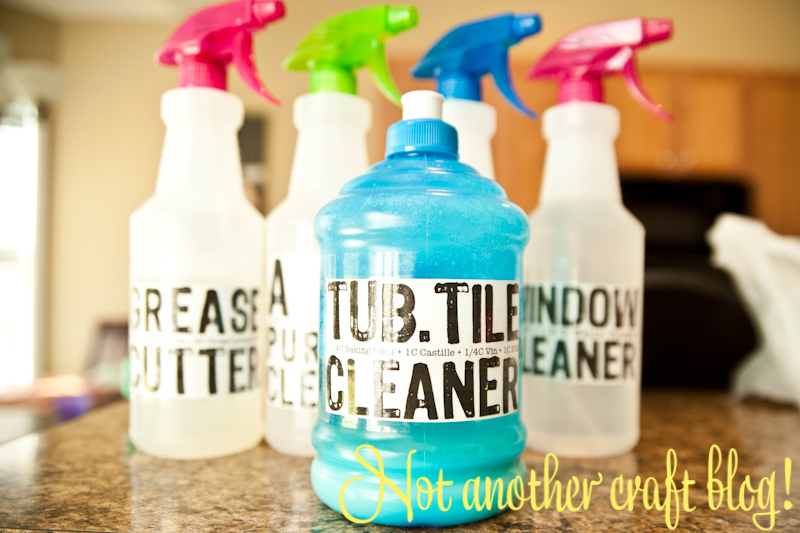 Her cleaner cuts grease, germs and grime and saves her money too! Sophie says you can use this spray on just about everything, including refrigerators, countertops, walls, doorknobs, toilet seats and sinks. And a few more all-purpose pretties . . . 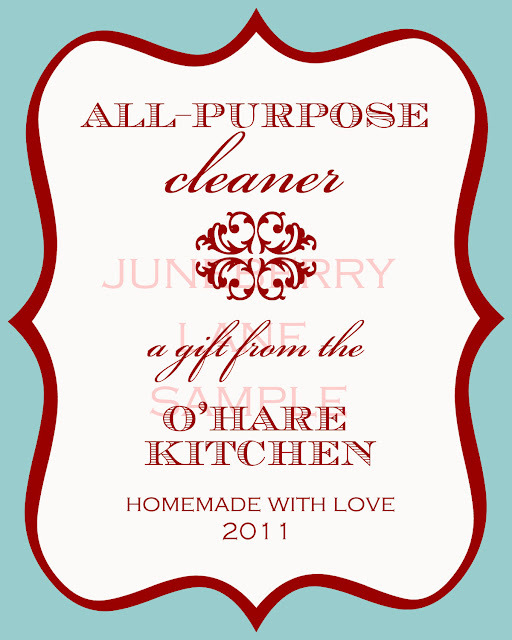 Available to customize with your 'kitchen's' name and sent to you as a PDF or JPEG printable file, so you can print as many as you need! 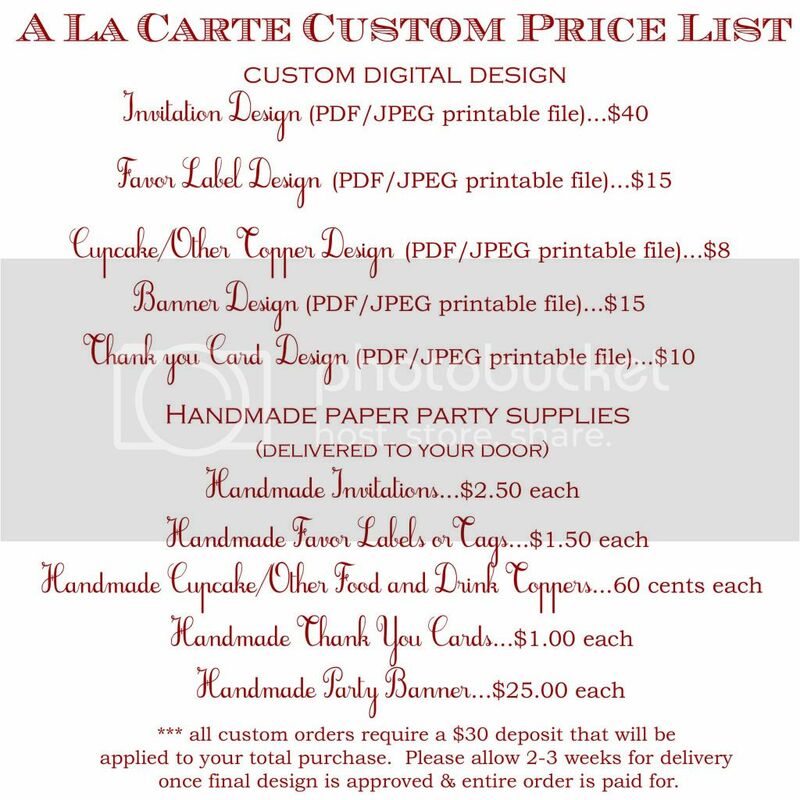 Just visit the Juneberry Lane Etsy shop to order yours today! 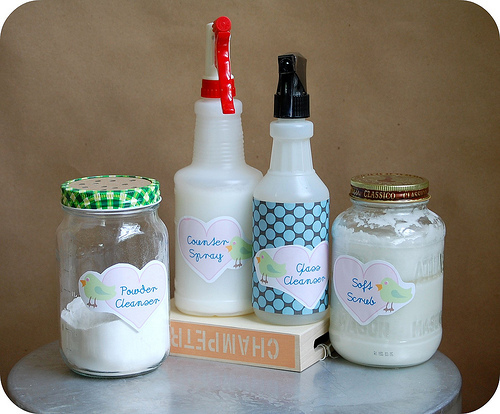 For around $40-$50 total (and that includes all of your ingredients, bottles, & labels) you will be able to make several bottles of these, so you can get an adorably affordable and ever-so-thoughtful gift for all of those people you want to say a sweet 'thank you' to and avoid that run-of-the mill candle in a jar this Christmas. And stay tuned over the next couple of weeks for more homemade gifts ideas coming your way! I love the label in the photo at the top of the page. Is there not a free printable for it?